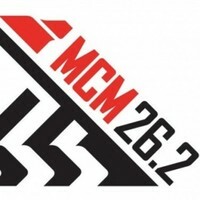 Be a part of a local running tradition! We started this race 35 years ago to give women a chance to race with other women, back when most race participants were men. A lot has changed since then, but we still love our women’s race, and we think you will, too-- whether you’re in it to break the tape, or just looking to try a new distance in a fun and supportive atmosphere. 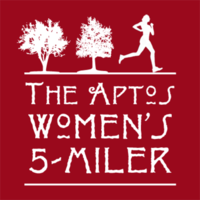 COURSE: The Aptos Women’s 5-Miler starts and finishes in Aptos Village Park, following flat-to-rolling paved and dirt roads through the Forest of Nisene Marks. The course also includes a short and scenic stretch of single-track trail, and travels through oak and redwood forest. Registration fee includes a commemorative 35th Annual AW5M shirt. Packet pick up will be at Fleet Feet Aptos on June 11th, or on race day. We won't mail you anything in advance. The race will be held rain or shine. Walkers are (always!) welcome, but unfortunately we cannot have wheels or dogs on the course. Please contact Luke DeBrito (debritoluke@yahoo.com or 831-331-0726) if accommodations are needed, or if you have any questions. You can also check out our website and our Facebook page (We love "Likes"!) for more information. PACKET PICK-UP: Fleet Feet Aptos on June 11th, or on race day starting at 7:30 a.m. at the start/finish area in Aptos Village Park.